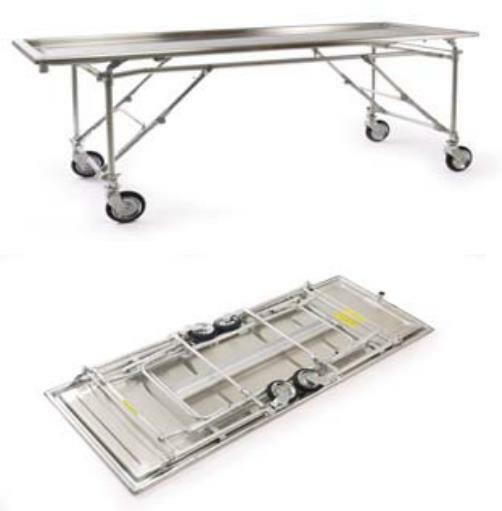 The Model 102 Folding Operating Table is a true combination table, ideal for embalming, dressing and transfer, particularly where space is at a premium. 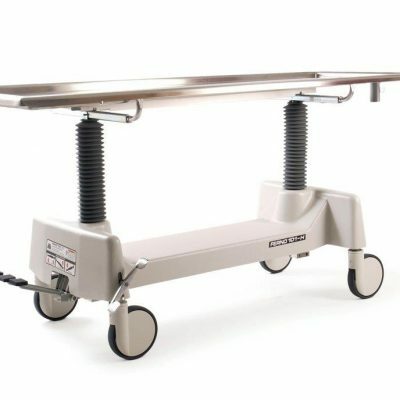 An exclusive, one-hand release easily adjusts either end of the table from 32.5″ to 38.5″ high with the ends being independently adjustable. 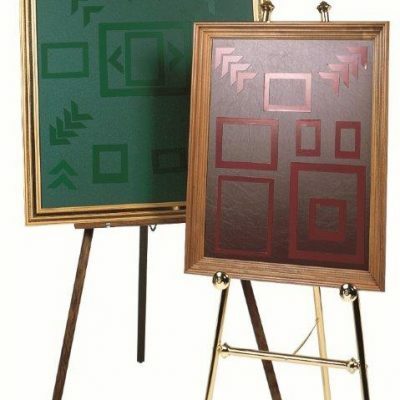 The table folds flat for storage when not in use – it stands on end and can fit easily in a closet or behind a door. 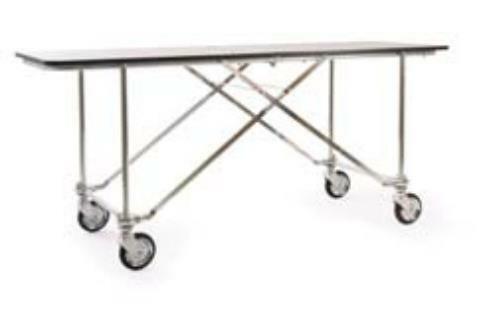 The table has a stainless steel top with convex surface, tubular steel frame and lockable 7” ball bearing wheels. Drain is in center of foot end. 80” long x 30” wide. Holds up to 600 pounds.